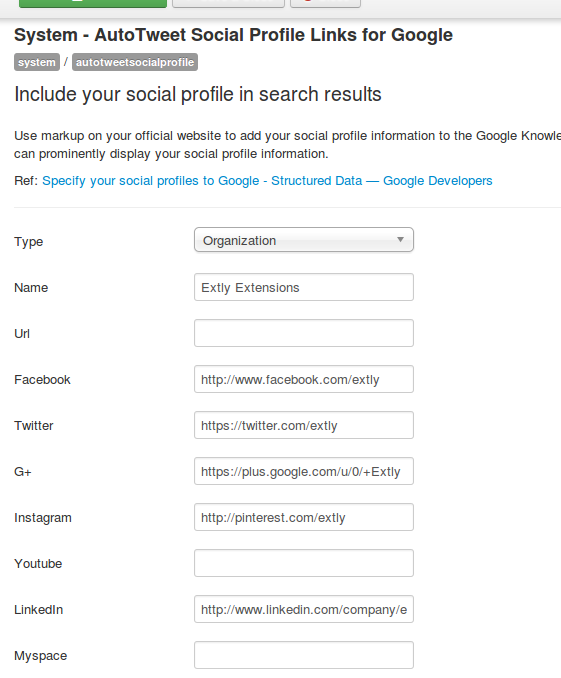 AutoTweetNG Social Profile Links for Google plug-in simply generates markup on your Joomla! website to add your social profile information to the Google Knowledge panel in some searches. Knowledge panels can prominently display your social profile information. With AutoTweet NG Social Profile Backlinks Tags plug-in, you can associate your preferred social profiles with your main site. Google algorithms process the social profiles you specify and then display the most relevant ones in response to users' queries. (For sites that have a verification process, Google will only show verified profiles.) The social profiles in your markup must correspond to the ones that users can see on the same page. To learn more about how Google crawler works, please check out Structured Data — Google Developers. 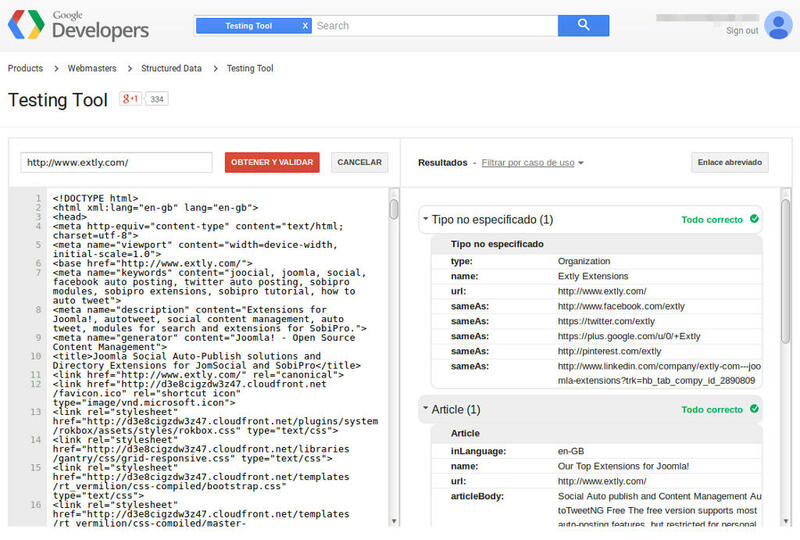 Google's Structured Data Testing Tool is a handy tool to test and debug how Google crawler loads your site information. The following screenshot have been generated from https://www.extly.com/joocial.html. In this way, we have a perfect case to show how a Social Profile Link are created for Joomla! CMS. Social Profiles markup from https://www.extly.com/joocial.html. Auto Tweet NG Social Profile Links for Google plug-in configuration for Joomla!